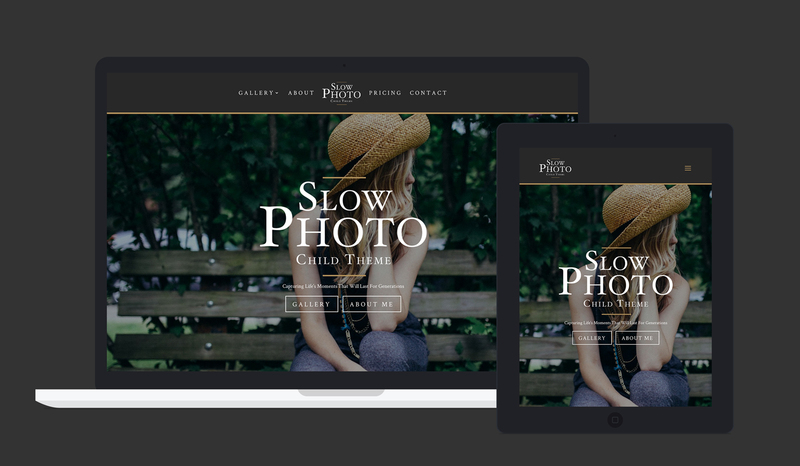 The market for WordPress Child Themes is growing and I’ve built SlowPhoto here as a product to tap into that market. 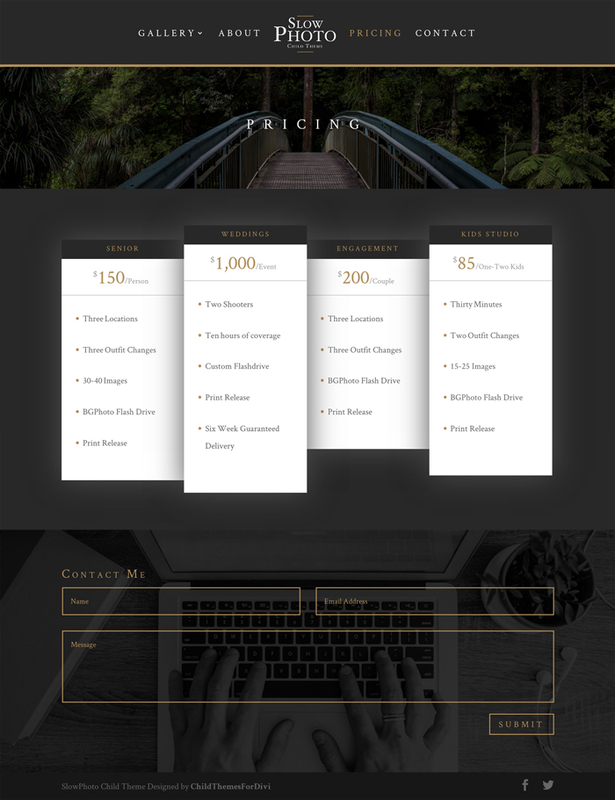 Not all who want a website know what they want until they see it and this template offers a fully designed site aimed at users that require a way to display image galleries, pricing, and contact information. 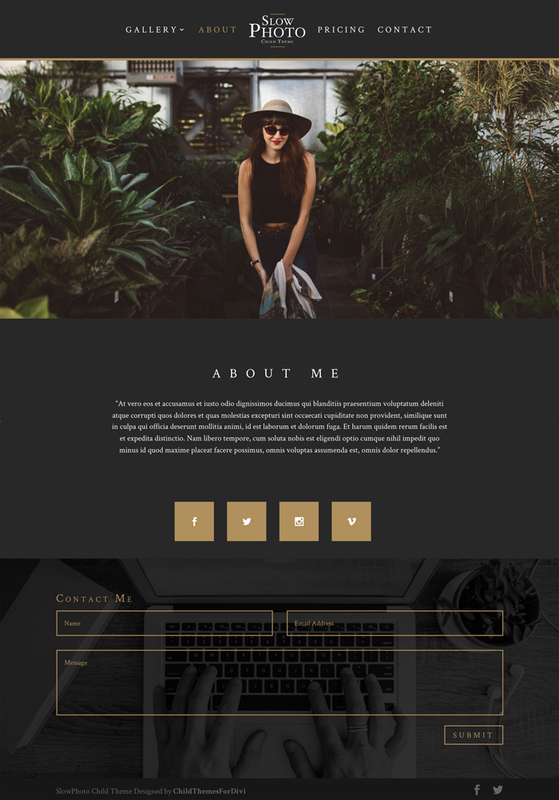 SlowPhoto is a Child Theme for WordPress that I built using the Divi 2.7 theme framework, a widely popular and easy to use theme for anyone from developers to designers and clients alike. SlowPhoto has even gotten attention from the top authoritative site ElegantThemes.com. 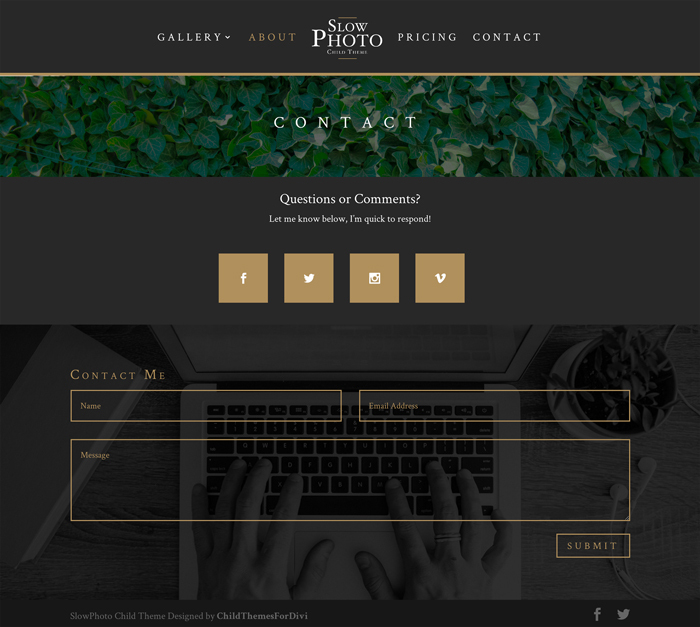 You can see here that SlowPhoto has been ranked a top theme for use as a portfolio.